I sat in Mytchina, Burma (Myanmar), with a group of BEE leaders in training. One man told his story of pilgrimage. “My family was involved in the church. I was told I needed to help the church, so I was obedient and helped out until I was in my late twenties. Then I was singled out and asked to pastor because I spoke well and loved people. I pastored for several years…and then I got saved!” “What?” I asked in shock. Three more of the men shared similar testimonies. 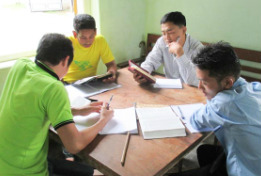 Because of the great need for pastors in Myanmar, men are often thrust into responsibility that they are neither qualified for nor trained to carry out. But these men are now receiving the training they need through BEE World. They are so grateful to be equipped to be used of the Lord in their country. With the military dictatorship following the coup d’etat of 1962, all Protestant and most Catholic missions were expelled from the country in 1966. As a result, the Christian church in Myanmar (Burma) has been isolated from significant outside evangelical influence for over 30 years. The military government closed the colleges and universities, but allowed some seminaries to keep operating. 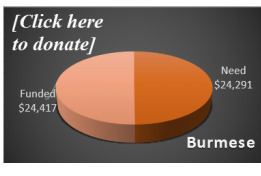 Nevertheless, many of those have been closed in the last year, and evangelism is punished. While Christian instruction is available in the two largest cities, there are hundreds of pastors in rural areas who have no access to biblical training. We currently have nine courses translated into Burmese. All of these courses are actively being facilitated to pastors throughout the area. 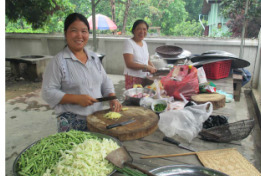 Our goal is to finish translating the rest of our core BEE courses, and then work with Burmese national Christians to translate many of these same courses into: Shan, Karen, Kachin, Chin, Mon, and Rakhine. 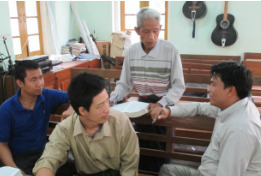 BEE’s target audience in Myanmar is the “unreached” pastors who have no other opportunities for biblical training. These are pastors actively laboring in the church, but with no formal training behind them. 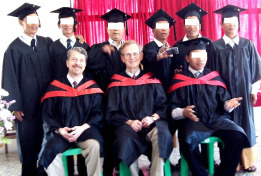 BEE personnel will continue to travel into Myanmar several times each year to teach hundreds of full-time students as well as active pastors, missionaries, and evangelists.